NORTH EASTON, Mass. 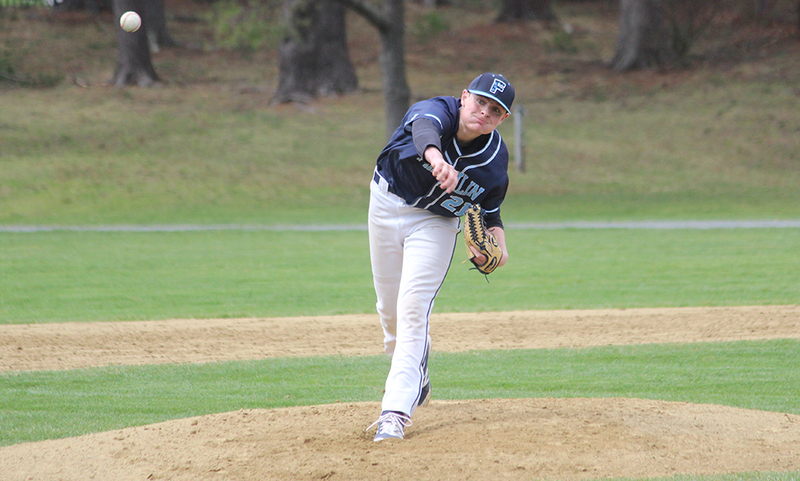 – Franklin plated three runs in the fourth inning and sophomore Jake Noviello was solid on the mound in his varsity debut to lead the Panthers to a 4-2 win over Oliver Ames. 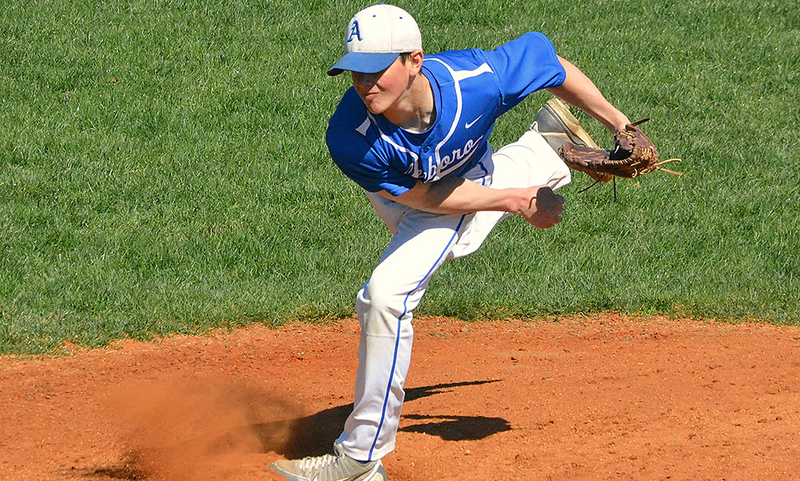 The Panthers erased a two run deficit by sending eight batters to the plate in the fourth inning. Noviello surrendered an unearned run in the first and an earned run in the fourth, allowing just five hits and striking out six to get his first career win. Although the game was played at Frothingham Park in Easton, Franklin was the home side and batted in the bottom half. To start the bottom of the fourth inning, Franklin senior Josh Macchi singled up the middle and advanced to second when Noviello drew a walk. Both runners advanced on a passed ball and a walk to Brad Jarosz loaded the bases. Sophomore Matt Foley’s hit down the line in right fell in, bringing Macchi in to cut the deficit in half. Junior Ryan Hodgkin’s hit to third brought pinch runner Steve Ferguson in to tie the game. Senior Joe Corsi hit one through the left side of the infield to plate Foley and take a 3-2 lead. OA took the lead in the first inning with Chris Romero reaching on a fielder’s choice. Josh Minuskin blooped one into center with two outs to bring Romero home and the Tigers took a 1-0 lead after the top half of the first. The Tigers extended their lead in the top of the fourth. Minuskin singled to lead off and moved to second off a single from sophomore Mitch Goulet. Kevin Geary moved both runners up a base and then Minuskin came home on a wild pitch. Noviello was solid throughout. He stuck out a pair in the second and then fanned another in the third. With a runner on third in the fourth, he induced a fly ball to right and a groundout to short to get out of the inning. He allowed one hit in the fifth but escaped without any further and then ended his day on the mound with a 1-2-3 sixth inning, punctuated with a strikeout for his last out. Noviello’s sixth inning came with a big assist from Foley. Ryan Adams led off with a hard hit single into right. Minuskin followed with a rip to right field himself but Foley snagged it and then fired back to first to double up the Tigers. Hodgkins and Corsi drew walks to open up the bottom of the sixth and junior Jake Lyons reached on an error to load the bases. 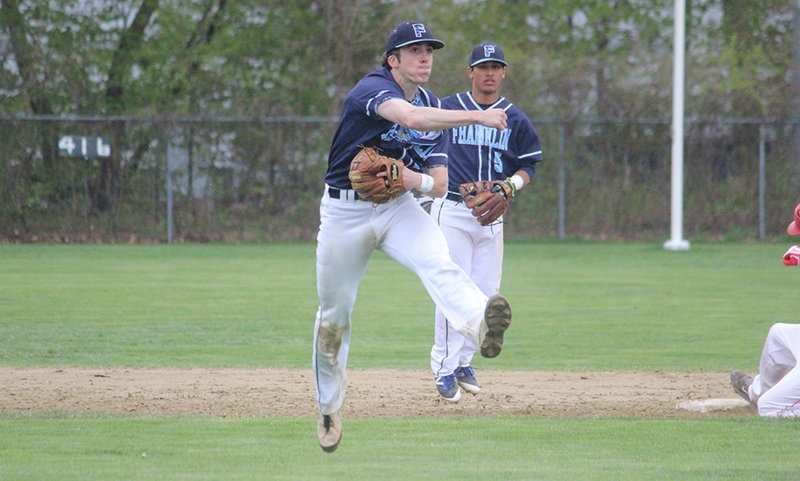 Tyler Gomes launched a hit into left center field but OA junior Travis Campbell leaped into the air for a diving catch to limit the damage to just a sacrifice fly as Franklin went up 4-2. 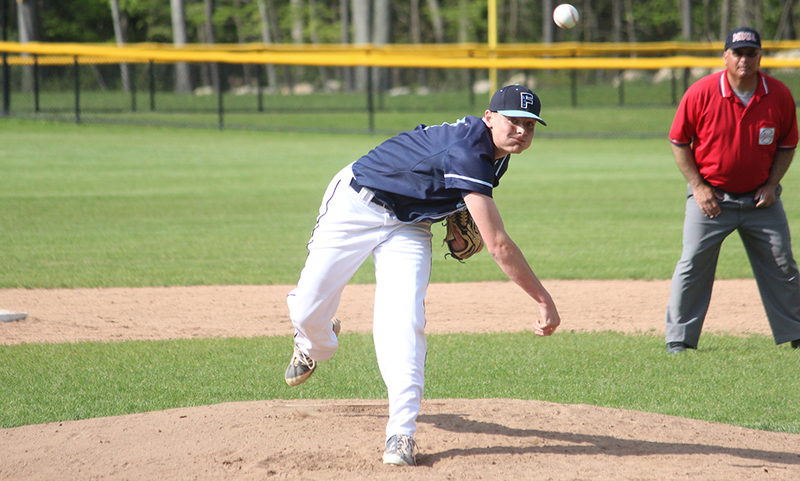 Franklin senior Mike Skaza needed just 14 pitched for a perfect final inning to get the save. OA senior Zach Sato suffered the loss, going 3.1 innings and allowing three earned runs. Oliver Ames’ pitchers combined to walk seven Franklin batters. “We’ve got a long ways to go,” OA coach Leo Duggan said. “I thought Sato pitched alright. This was his first varsity start and for three innings he kept the ball down, I think he just got a little tired after that. We didn’t help him out after that. We dropped the ball in right field, we had a mistake at third. Walks killed us today too. 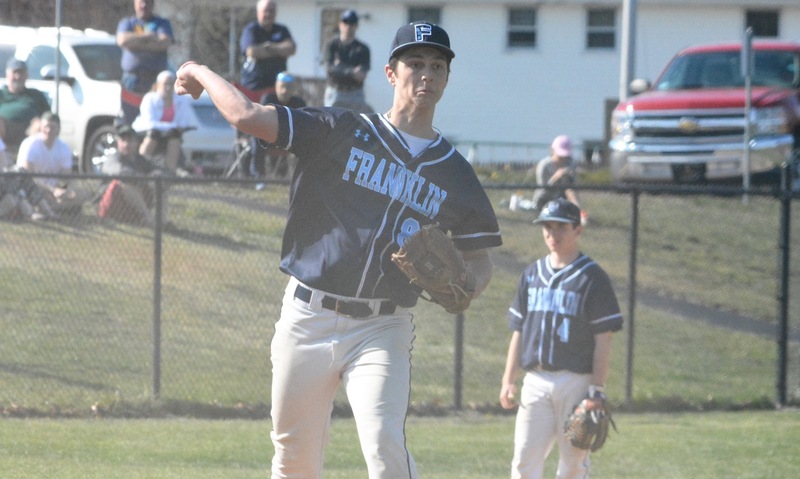 Franklin baseball (1-0) returns to action on Monday when they travel to Sharon (0-0) to take on the Eagles. Oliver Ames (0-1) will travel to North Attleboro (0-1) on the same day.